Caution: This item is corrosive. 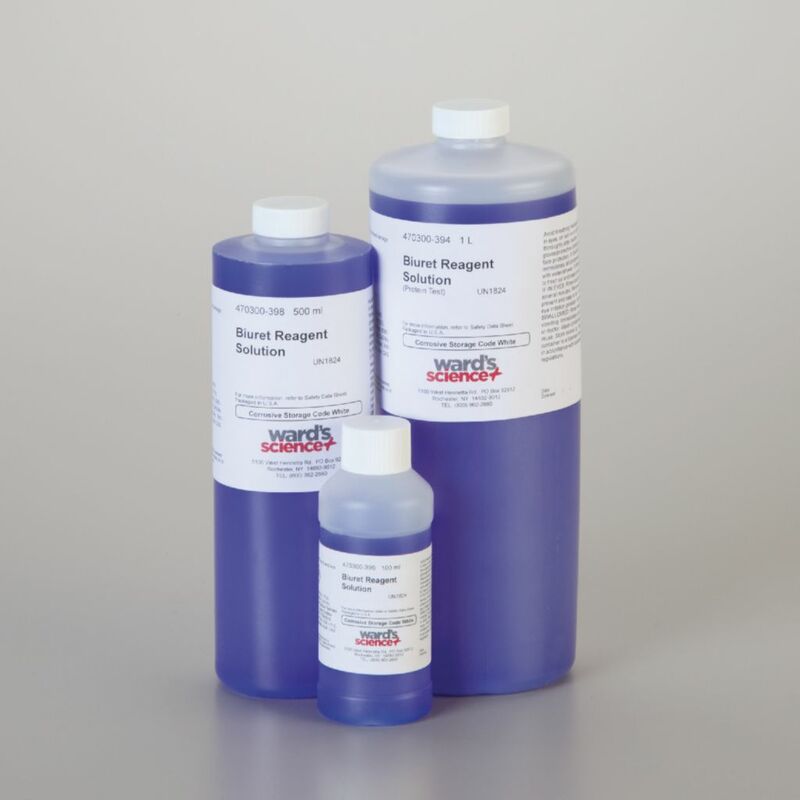 To prepare Biuret's Reagent Solution, add 2.3 g of copper(II) sulfate pentahydrate to 225 ml of DI water. In a second beaker, add 775 ml of DI water. Place this beaker in an ice water bath. Next, add 308 g of sodium hydroxide to the 775 ml of DI water. Mix the sodium hydroxide solution with the copper sulfate solution. The solution should be blue.